This week when we went on a walk around the neighborhood and it was a typical Seattle day. 50 degrees. cloudy and raining lightly. I’m not a fan of weather watching…at all. If Global Warming were the Super Bowl and the most watched event ever, I would be like, I’m over here watching the reruns of the Office, I could care so little. I wouldn’t even watch it for the commercials or the halftime tornado. But that day, I observed something about Grey Cloud Town, USA(and I’m not talking where all your pictures uploaded to). I said to my wife, “This day right here, cloudy, 50, rainy, could have happened in any month of the year here. January, March, September, even July.” That is how bitterly consistent that kind of day happens here. I remember July 4th a few years ago, where I wore a jacket and long pants to observe the fireworks. Sometimes it even gets windy here. And when it does, you need to throw caution and bitterness into it. Just like I’m throwing these Gifs and my caution into the wind. …just stop? Signs point to….no. …like a candle in the wind. …and still not reach my goooooooooooooooooooollll! …with a drive by donuting. Now I’m really gonna throw caution to the wind..
…and throw on some sweatpants. …right into my dream emporium. And that is enough excitement for one week. I’d talk more, but like I said, dream emporiuming right now. Dreaming of more ways to be bitter. Now go. For your Black Friday Funny Bitterness Gifture pleasure. Not really. 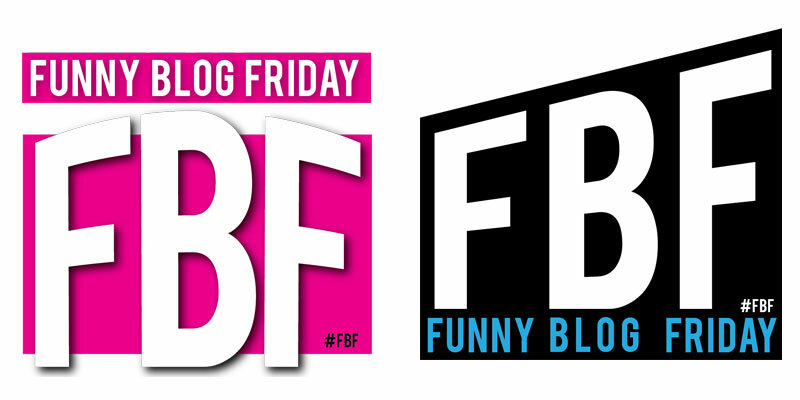 Thanks for the Bitterest Pills I’ve ever swallowed…and for the list of Funny Friday Bloggers! I post on Mondays because I’m just Not That Funny! Do you think Fridays are funnier? Yep, you should definitely find something you like from that list of bloggers. And I usually don’t like posting on Monday, because the weekend zaps me of any funniness. The exercise one shows why I don’t have a cat. The candle gif is cool. There are lots of reasons why I don’t have a cat, but mostly because they are stuck up brats. hahaha. The stop sign and the leap frog ones are brill! Yeah, I can’t imagine being the lady in the rain getting hit by the sign. Hazards of the job I guess. Seattle weather is great for curls. Makes people with baby-fine hair bitter. Yeah this morning for instance. Yesterday we had sun, so as per Seattle law, we can not have two days in a row with sun so we get rain. I think recall it being said that that is a Seattle tradition. It is a tradition to be bitter about the rain yes. We compare quite favorably to SF for weather etc. It must be from being near two big bodies of water that make it so bitter. It might be hot all the time (or cold all the time) instead of raining all the time! If I lived in a desert like Phoenix or St. George maybe. The ‘drive by doughnuting’ reminds me of something me and one of my best friends used to talk about doing (and never did) when we were young. Only it was with burritos and not doughnuts. Also, the cat kissing booth made me CTM. Alsoalso, I so wish I could get covered up like that dude. It would be so awesome. You know what the gif is from right? From video game high school that I told you to watch. Are you talking about the guy that is jumping into bed? Sounds really good right about now. Funny Blog Friday bloggers? Never heard of it. Where’s my membership application? A little while back one of my blog friends came up with the idea to start a group of funny bloggers to get together every once in a while on a Friday and write funny blogs, then tweet about them so we could be kind of a network. The first one we did we were supposed to give away something or whatever. If you want to apply, talk to Victoria over at the Angst blog. Sounds just like London! No point in preparing for rain because your clothes will be wet by the end of the day anyways. It is like London, except no good architecture and cool accents. 50 degrees on the 4th of July is just wrong. Still want to visit Seattle/the NW though. You may want to time your visit for the summer. Unless you want to have a depressing week of rain and bitterness. Nope the rain and cloudiness sure gets old. Especially when it seems like never get a summer. With all that light rain falling, i don’t know how any ladies ever have a good hair day there. It’s going to be 80 here today, sans clouds. Sunny cities make sunny people. Bitter skies make bitter guys. Our cable bill (which went up in Dec and again this month by another $20 and made me BITTER) gives us a wide range of FOUR free movies, one of which was Singles. So I skimmed thru it yesterday, thinking it would remind me of the early 90s grungey years and would be brilliant insight into my post-adolescence. No. It sucked. Hard. Everyone in 1992 in Seattle must have had enormous garage door openers. That’s all I gleaned from it. Good hair day here, nope no one does. Bitter skies make bitter guys, that is the truth. Though I could still be bitter anywhere else. There is crap about every place. I really think the weather is Seattle suits you. It gives you something to complain about. Now imagine you lived here in L.A. where the sun always shines. You try to be bitter and they look at you like you have two heads and snap their bubble gum. It must get so tiresome it being sunny all the time. It must make trying to sleep really hard, and you must miss seeing the moon. Ha, actually my husband sleeps during the day so he would know all about it. He actually has one of those sleep masks, but don’t tell him I told you so. You know what a crank he is. I know. He used to sleep through class all the time in college and I try not to reveal his secret about the sleep mask, but you just put it out there for the whole world to know now. What??? Are you kidding? I mean this isn’t going on the internet or anything right? I thought these were private emails!! Nope these are only for the priveleged few that know how to read or are so bitter that this is the only interesting thing they can find on the whole internet. Oh, okay, I feel a little better now. Thank goodness Obama and the NSA are just standing right behind me right now reading this very message. You should probably avoid any black SUV’s that “appear” to be following you. Obama and the NSA weren’t near as bad as your day? Their perspective was right behind you at the computer. Can I ask a personal question? Did you grow up in the NW? Or is this frequent/50 degrees/light rain a newish thing for you? I actually grew up in a lot of places, but none were NW. I was born in California, when I was 6-9 I lived in NY (Long Island) and then South Dakota until I graduated. Then lived in Idaho for college, then Utah for a mission, then back to Idaho for college, then to Utah for college, then when I was 27 moved to the NW and been here since. Thanks, Ben! Those are some interesting and beautiful places. So. Dakota is def. on my travel list. My whole family migrated to the Pacific NW, so we’re constantly flirting w/ moving there, but afraid of the grey. Why we prefer -15 degrees, ice and snow to 50 degrees with a light rain is the stuff for a Psychiatrist. South Dakota definitely has some beauty and charm in certain places, but for the most part, the city I grew up in Sioux Falls, is pretty generic and plain. But like all places there is some good some bad. For some reason people around here just love this place and couldn’t bear to go anywhere else. Guess they haven’t been other places.